Jean Jacques Bienaimé is the CEO of BioMarin Pharmaceutical Inc., the fastest growing and largest private employer in Marin County. Under his leadership, BioMarin has grown in number of employee, market capital and stature. Mr. Bienaime has over 30 years of experience in the biotechnology and pharmaceutical industries. As CEO, the market capitalization of BioMarin went from about $450 million in May 2005, to approximately $9 billion in April 2014. BioMarin is a fully integrated biopharmaceutical company with over 1300 employees. Previously, Mr. Bienaimé served as Chairman, Chief Executive Officer, and President of Genencor, a biotechnology company focused on industrial bioproducts and targeted cancer biotherapeutics. 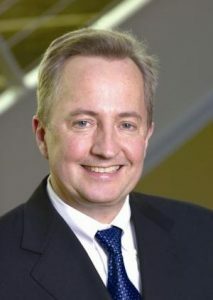 Under his leadership, Genencor’s revenues increased substantially to over $400 million and shareholder value increased dramatically, culminating in the sale of the company to Danisco in the spring of 2005 for an enterprise value of over $1.2 billion. Prior to that, Mr. Bienaimé served as Chairman, Chief Executive Officer and President of Sangstat Medical Corporation, an immunology-focused biotechnology company that he guided to profitability prior to its acquisition by Genzyme Corporation. Other experience includes several senior management positions at Rhone-Poulenc Rorer Pharmaceuticals (now Sanofi-Aventis), the launch of Lovenox® (for the prevention of pulmonary embolism and treatment of unstable angina) in the United States and Taxotere® (for breast and lung cancer) worldwide. Earlier in his career, he worked at Genentech, Inc. where he was involved in the launch of tissue plasminogen activator (t-PA) for the treatment of heart attacks. Mr. Bienaimé currently serves on the boards of biotechnology companies Intermune, Inc., and Vital Therapies, Inc., as well as the Biotech Industry Organization (BIO). He received an M.B.A. from the Wharton School at the University of Pennsylvania and a degree in economics from the École Supérieure de Commerce de Paris.